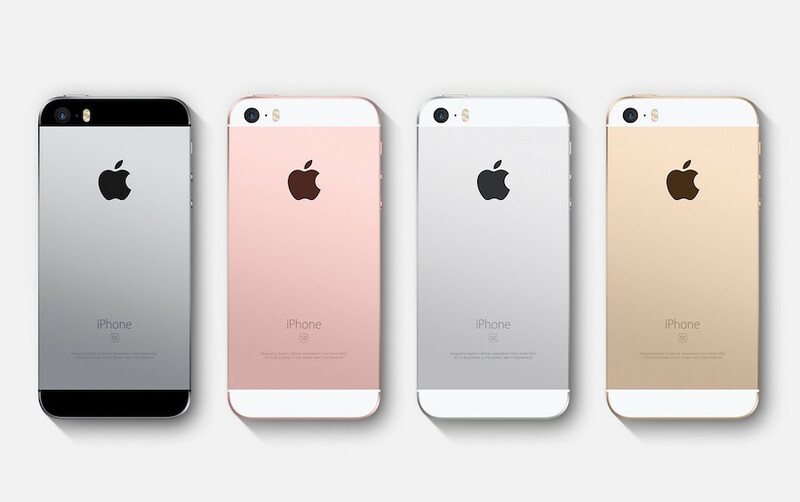 The Apple iPhone SE has been officially available now. It might have the same design as the iPhone 5S, however, there are some significant upgrades inside. We have a more powerful CPU, GPU, more RAM, longer battery life and 12MP iSight camera. The iPhone SE is an attractive choice for big-phone haters because they will be able to use the phone comfortably with one hand now. The phone was originally launched in March 2016 with 16 GB and 64 GB of storage configurations. Then, the storage was upgraded to 32GB and 128GB one year later. Before hitting an Apple Store, you should be aware that the iPhone SE comes in several model numbers and they support different cellular and wireless networks. Therefore, there is a chance that you won’t be able to use the phone in some other countries. The model number can be found on the box or on the back of your iPhone. In the case of iPhone SE, it can be A1662, A1723 or A1724. Let’s check out the differences. This is the model released in the United States. You can easily buy it at Apple Store or from carriers like AT&T, T-Mobile or Verizon. Notice that the Sprint iPhone has a different model number that we will mention later. The iPhone A1662 supports LTE (Bands 1, 2, 3, 4, 5, 8, 12, 13, 17, 18, 19, 20, 25, 26, 29); CDMA EV‑DO Rev. A (800, 1700/2100, 1900, 2100 MHz); GSM/EDGE (850, 900, 1800, 1900 MHz) and UMTS/HSPA+/DC‑HSDPA (850, 900, 1700/2100, 1900, 2100 MHz). This is the global version being sold at Sprint and most carriers in the UK, Canda, Europe, Australia and Asia. It is compatible with LTE (Bands 1, 2, 3, 4, 5, 7, 8, 12, 17, 18, 19, 20, 25, 26, 28); TD‑LTE (Bands 38, 39, 40, 41); TD‑SCDMA 1900 (F), 2000 (A); CDMA EV‑DO Rev. A (800, 1700/2100, 1900, 2100 MHz); GSM/EDGE (850, 900, 1800, 1900 MHz) and UMTS/HSPA+/DC‑HSDPA (850, 900, 1700/2100, 1900, 2100 MHz). The is the model sold exclusively in Mainland China. The network bands are quite similar to the A1723, the only difference is that it doesn’t support CDMA EV‑DO Rev. A (800, 1700/2100, 1900, 2100 MHz). Specifically, it is compatible with LTE (Bands 1, 2, 3, 4, 5, 7, 8, 12, 17, 18, 19, 20, 25, 26, 28); TD‑LTE (Bands 38, 39, 40, 41); CDMA1700/2100 (BC15), TD‑SCDMA 1900 (F), 2000 (A); GSM/EDGE (850, 900, 1800, 1900 MHz) and UMTS/HSPA+/DC‑HSDPA (850, 900, 1700/2100, 1900, 2100 MHz). It will work with China Mobile’s 4G TD-LTE, 3G, or TD-SCDMA networks. The unlocked model from China Mobile doesn’t support China Telecom’s CDMA-based network. Those are the differences among iPhone SE model numbers, leave a comment below if you have any question. Is the MLLV2LL/A model A1662 considered a sim free unlocked version that will work on any GSM or CDMA network? MLLV2LL/A is NOT unlocked; as noted above, this is a T-Mobile assigned device, but it should still work for most US networks if is does not have a subsidy lock. So will the A1723 (global version) bought, say in Asia (other than China), work in the USA as well? Yes, this also will work with most US networks, so long as it does not have a subsidy lock. How and where can i buy SE sim free model 1723? Unfortunately Apple US website has some restrictions in giving choice to users in selecting a model number. But, you have an option of buying the A1723 model. All you have to do is order for an unlocked version of phone through Apple US website and choose picking it up from Apple store. Ask your friends who is in US to pick the phone from Apple store on behalf of you and while picking up the phone, ask them to ask for model #A1723 instead of A1662. You can also buy a Apple gift card and send it to your friend via email and ask them to buy the phone bearing model #A1723 directly from the Apple store. I asked my cousins in Seattle, Washington to buy me an iPhone SE Sim-free. When i asked them to check the model it is A1662. Can i use it here in the Philippines? Yes, A1662 works globally but not on all network bands. It is safe to buy A1723 becuase it supports more LTE bands. Absolutely you can use the A1662 in Philippines. :: will it work well in the UK and EU? :: is there a reason the model number in my phone settings says NLMD2LL/A? I also have the same issue.my iphone model start with NLM. What that?!! What does that mean? If I buy the phone in China model iPhone SE A1724, what will I lose? not having CDMA EV-DO…. If I leave China and move to Europe, will I have connection problems? Should I wait and buy it in Hong-kong instead ? Will the Model A1662 work in INDIA ?? I will be in New York next month. I am going to buy model A1723 (sim free) at AppleStore. I know that model for Sprint (CDMA). What limitations does A1723 have for using in Europe by GSM, LTE or CDMA (lock etc). If It has limitations how can I solve this problem in official way. 1) Is there any difference between the “Sprint” MLM32LL/A and “Canada” MLLP2VC/A. These are both iPhone SE A1723, 16GB, in silver. 2) Is there any confirmed way of buying a A1723 model in the US, that isn’t network locked? I was in an Apple Store in the US recently, and they were willing to sell me the “Sprint” model, but I now realise that it might have been locked to Sprint. I need the phone to work in Australia, on Telstra. Dear all, Hello! MLMF2LL/A is Verizon one.. Will it work for else GSM networks like AT&T or overseas for any GSM 4G players? I have a similar question. I have an MLMF2LL/A for Verizon but am switching to T-Mobile. Will it work as well as the T-Mobile model or will there be some service drops? Does the A1662 model work with China’s 4G network? Can I unlock a serial number MLLL2LL/A to use it out of the United States? I have a model MLMF2LL/A which stated above is a Verizon phone. This phone had no sim card. I have an AT&T Model 1662. It is unlocked. will it operate with full functionality on any network? I am planning on going to Japan. I would like to get the full use out of it while I am there. Mine is actually a model NLY32LL/A. What does that indicate? I’m close to purchase a 64 GB version of iPhone SE in Romania. the shop has 4 versions listed with these P/Ns: MLXP2RR/A, MLXQ2RR/A, MLM72RR/A & MLM62RR/A. are those still some breed of A1723 or should I get worried afterwards? Can the A1724 be used in West Africa Ghana? So will 64GB Silver SIM-free MLME2LL/A work on Sprint? It is factory unlocked. Can I use the A1662 in Spain? It’s lacking the LTE 7, I don’t know how much that would affect me. i want know can i buy the models of 1662 in ashin county? I just bought an iPhone se 32 gb for Sprint model A1723 but this one part no. MP8R2LL/A, this one is not on the list, so in what category leave this model? I just bought a previously owned Apple iPhone SE a1662 16GB GSM Unlocked from US. will it work in Nigeria GSM networks? i found a 1662 with a sprint sim…. I bought a Iphone SE (A1723), model MLXQ2KH/A. It is unlocked and I was told would work with Sprint. But they say they cant activate that phone. Is this model not compatable here in the US or something? el modelo A1662 de 128 GB funciona en Colombia habiendolo comprado en ali express? o cual seria el posible problema? Will iPhone SE (A1724) work on GSM systems in the USA. Did you deliberately leave out the 128gb? There was no 32GB and 128GB configuration at launch. The 128GB was released 1 year later and I’ve added new models to the list.